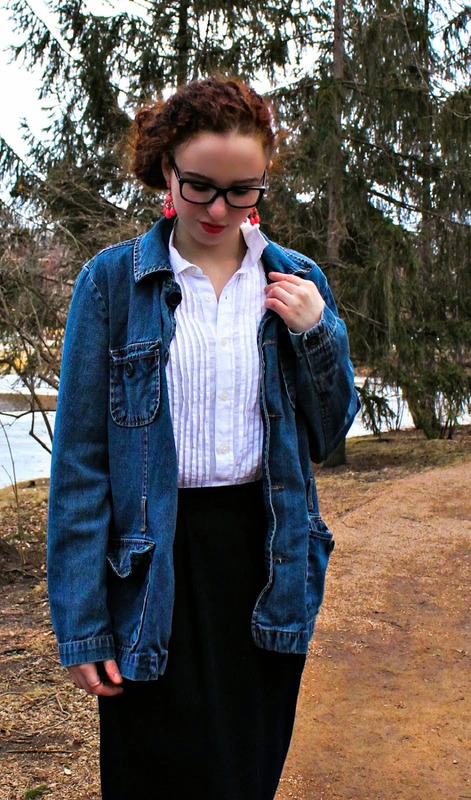 This week we are craving the thrift style of Courtney from Iowa. Courtney fell in love with thrifting the summer after her junior year of high school. She said she was tired of sacrificing too much of her hard earned paycheck to stay current on trends. "I wanted some unique new pieces that not everyone had," she said. "I was heading to see Phantom of the Opera performed in the city, and I wanted to be dressed up. 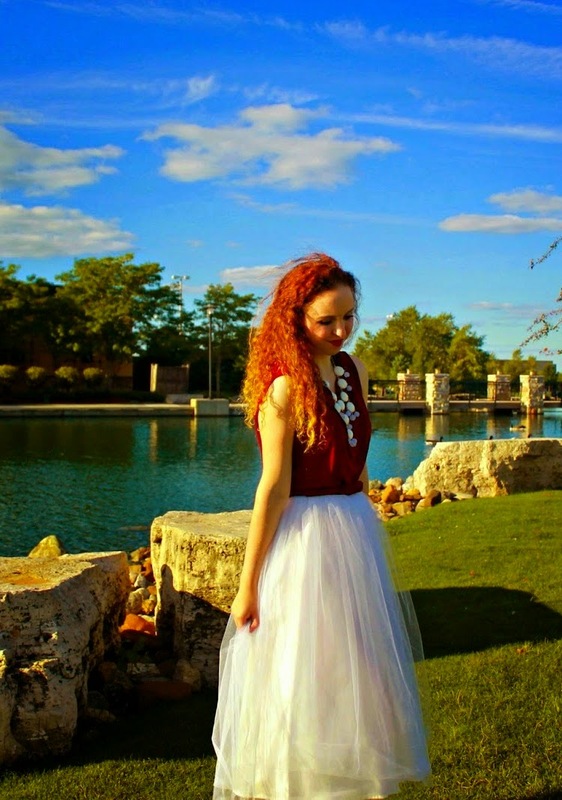 I'd wanted a tulle skirt for forever,and when I saw this tulle skirt dress at Goodwill,I knew it was perfect. However, I had no where to wear it. When I found out I'd be going to see Phantom of the Opera, I knew it'd be perfect." Her favorite place to thrift: Absolutely my local Goodwill. There's such a huge variety of different styles,and there's nothing better than 25 cent Tuesday! Her favorite part of thrift shopping: What I enjoy most is definitely finding unique pieces for amazing prices,and the fact that every one has it's own special story. 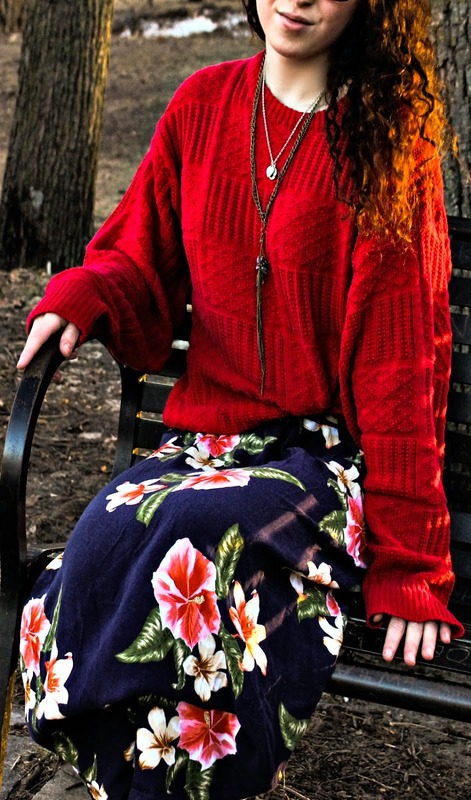 "I wanted to find a way to put my summer floral maxi on for winter,and this cozy sweater made it fit in." Her most treasured find: My thrifting baby is my oversized denim jacket- just worn down to be comfortable and look grungy, yet perfectly fit. "I had a business casual lunch earlier,and wanted to dress the outfit down for hanging out with friends soon after. Denim jacket= perfect way to make any outfit more casual." Her number one tip for thrift shopping success: Be thorough. Thrift stores aren't as organized as ordinary retail stores, so you have to be very in-depth to find quality pieces. If you take the time to go through every aisle, and try on pieces you might even be unsure about,you'll find a winner. What do you think of Courtney's style? Which look is your favorite?